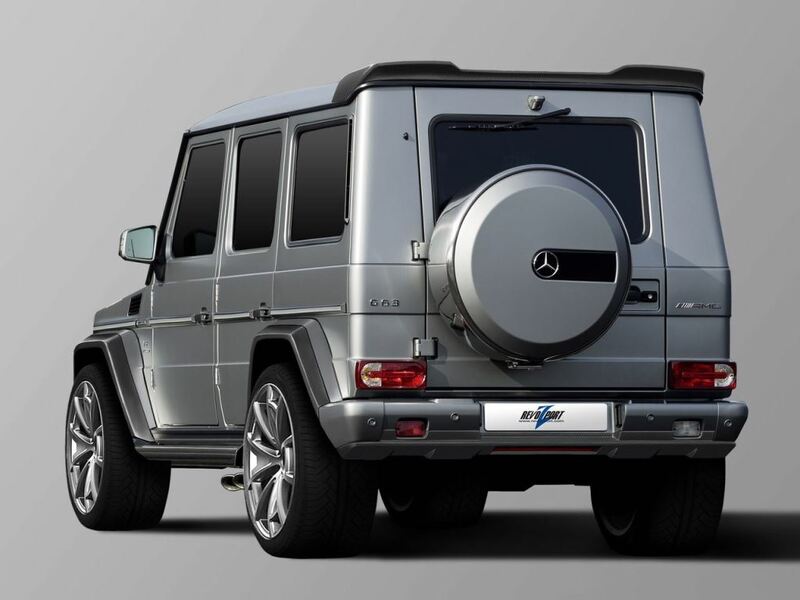 Here's a super outstanding Mercedes-AMG G63 with an upgraded package by RevoZport. 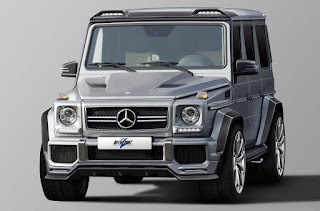 This gives the high horsepower-laden SUV a more sporty and boxy look with daring headlights and intimidating wheels looking like 24-inch Forgiato. The aggressive appearance is made possible by the modifications around the front bumper as it is custom-made. RevoZport also says it has fitted a ‘water trap’ system to ensure that no water gets into the engine bay. Good idea. Exterior touches are completed with a roof spoiler, carbon fiber mirror caps, and a carbon spare wheel cover.